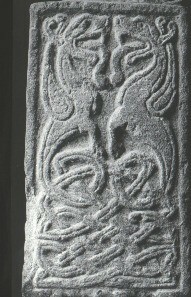 This fragment shows two creatures with canine-like heads facing each other. Their tongues are hanging from their mouths. Their tails form interlace below them.